Mobile marketing. We keep hearing about it, talking about it and being advised by Google and others that we have to stand up and pay attention to the multiscreen world we live in. And it’s true. Pretty soon, we’ll be moving out of the “this is a cool idea, let’s do it someday” phase into a more pressing requirement. And it’s coming fast. 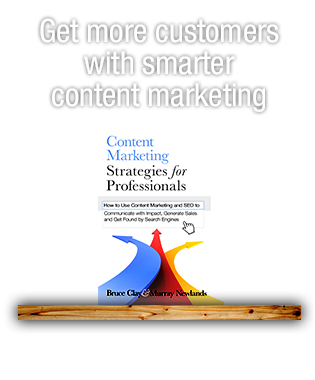 Scott Brinker is co-founder and CTO of ion interactive and author of the blog Chief Marketing Technologist. There, he discusses more traditional marketing concepts tied to the technology we have at our fingertips today. Instead of talking tactics, I wanted to explore with him the “why” behind mobile marketing. So today, we’ll hear more about the driving force behind the way we market, and the intersection of tech and marketing. I think you’ll enjoy his insight. Jessica Lee: Your upcoming session at SMX West is about converting the mobile customer. Instead of talking tactics here, let’s take a step back and talk about why mobile is important and how society is changing to become a mobile culture. Scott Brinker: It’s kind of amazing when you think about it. Smartphones – and the access to the web they provide — are effectively ubiquitous. I’ve heard people compare the capabilities we have in our pockets today to science fiction devices from films only a decade or two old. As Warren Ellis said, we carry around these glowing glass windows where we can make amazing things happen by pointing at them with our fingers like wizards. But already just a few years into that revolution, most of us take it for granted. I think society has already become a mobile culture, and we’re probably not too far away from a “post-mobile” culture — where mobile is a distinction that most people won’t care to make. We’re just connected. All the time. Everywhere we go. Sure, there will be different things we prefer to do working at a desk, lounging on the couch, sitting at a restaurant, or walking through Disneyland. But those preferences will be less about device and more about context. Of course, marketers aren’t most people. We still have a lot of work to do to deliver the experiences that people really want when they connect with us through such devices — or, more forward-thinking, in these different contexts. So to us marketers, explicitly thinking about mobile is important — and will be for a while — because we’ve got responsibility for constructing big chunks of this science fiction film our audience is living. Recent AdWords changes called Enhanced Campaigns has lumped tablets with PCs in campaigns. In Google’s announcement of the new model, it stated tablet and PC behavior is becoming more and more the same. Do you think this approach is a mistake? I actually like the new enhanced campaigns. I think it’s a good step towards emphasizing context over device. However, I appreciate that many PPC marketers have spent years crafting tactics around the previous architecture, and this change is disruptive to the models they had in place. First, modern marketing is all about living under a stampede of constant change. Google, Facebook, Twitter — all these channels we rely on for reaching our audience — are still rapidly evolving. 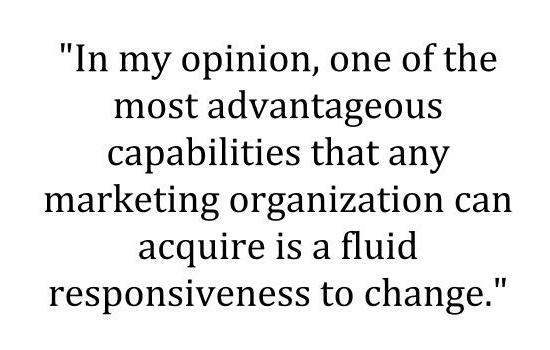 In my opinion, one of the most advantageous capabilities that any marketing organization can acquire is a fluid responsiveness to change. We’re operating in an incredibly complex and uncertain environment, and we need to adapt marketing management and culture to thrive under these dynamics. That’s one of the reasons I’m a big advocate for agile marketing methodologies. Second, as marketers we sometimes take the way software works — in this case, the AdWords console — as a given. Once we start using it, it’s easy to think the way it works is really the only way it could work. But in truth, there’s effectively an infinite number of different ways that software can be designed, from its operational engine to its user interface. Many designs can tackle the same underlying problem — but do so with radically different approaches. This is why there is so much robust competition in many marketing software categories. Different software teams can produce amazingly diverse products in the exact same space. And since software is the eyes and hands of marketers in a digital world, these different approaches have a huge material impact on how we think about and actually do our jobs as marketers. Enhanced campaigns is a great instance of this. 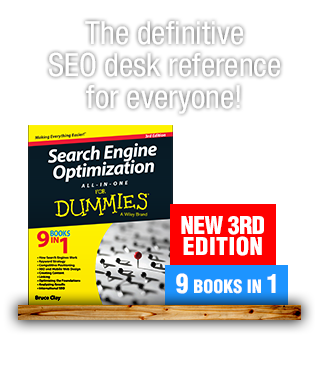 Google is demonstrating that the same basic task, managing PPC, could be organized in a different way. Better? Worse? That’s a matter of opinion. But I think an open mind to how our software tools can — and should — evolve is healthy. 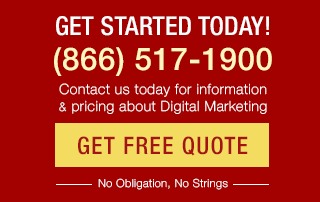 What’s next for mobile marketing? The challenge with so much marketing technology — and mobile is no exception — is that there’s an extremely skewed tail of early adopters that lead many of the trends we hear about, all the latest “cool stuff.” But the majority of marketing organizations are far behind that leading edge. Frankly, the biggest opportunity in my opinion is helping to bring the majority forward. We could start with empowering the majority of marketers to deliver really amazing post-click experiences to mobile users. Actually, that’s exactly what my company is aiming to do. If you’re headed to SMX West, you can catch Scott in the session, “Converting the Mobile Customer” on Monday, March 11 at 3:30 p.m. Connect with him on Twitter @ChiefMartec.